April 11thto 17th,Bauma 2016 which be called one of three major construction machinery event in the world, opening in Munich. Germany Bauma Exhibition is a professional exhibition of the world's largest and most influential international engineering machinery, building materials machinery, mining machinery, construction and engineering vehicles and equipment. As innovation driving force in the field of global engineering machinery , Germany Bauma Exhibition build a great platform between enterprises and users, all enterprises relate to this industry gathered in this, competition for top technology, showing unique product, providing more opportunities for the development of enterprises. There are more than 3400 enterprises from 58 countries participating, attracted more than 200 world's professional visitor countries all over the world , 79% of the trade visitor participate in the decision-making and real commercial business. 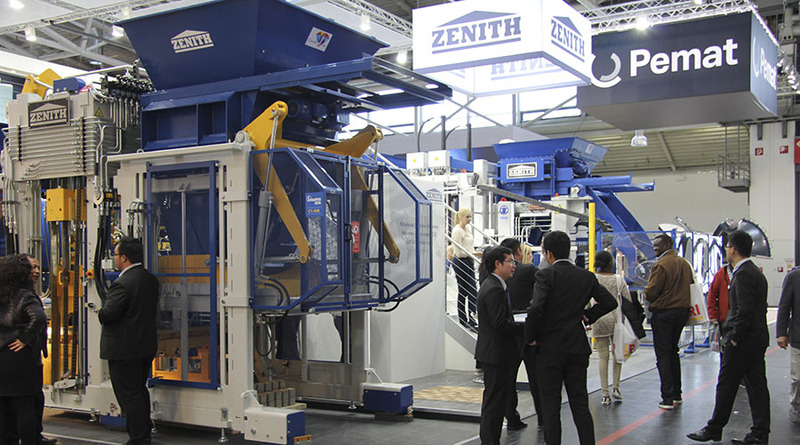 This year QGM&ZENITH exhibit machine together, showing the most advanced, the latest version of the 1500 automatic block making machine in the world and an upgraded version of the 940SC board-free automatic block making machine, advanced technology and the performance of the configuration, won the visitor's approval and praise. During the exhibition, QGM&ZENITH make the 1500 automatic block making machine running, and attract a large number of customer or visitor to watch. The hanging design of feeding box achieve optimization of feeding, “super dynamic” servo vibration system, cycle time is 12 seconds...... have been greatly recognized by the people in this field, and acquire customers praise. Customers come to the booth to consult and seek cooperation, QGM&ZENITH is one of the most hot action scenes in the exhibition . Customers come to the booth to negotiate almost from the high-end market, many of customers had Zenith machine before, they appreciate about Zenith machine participate in the exhibition, and chat with manager kindly, telling about the zenith machine running condition after running over couple years even for decades. 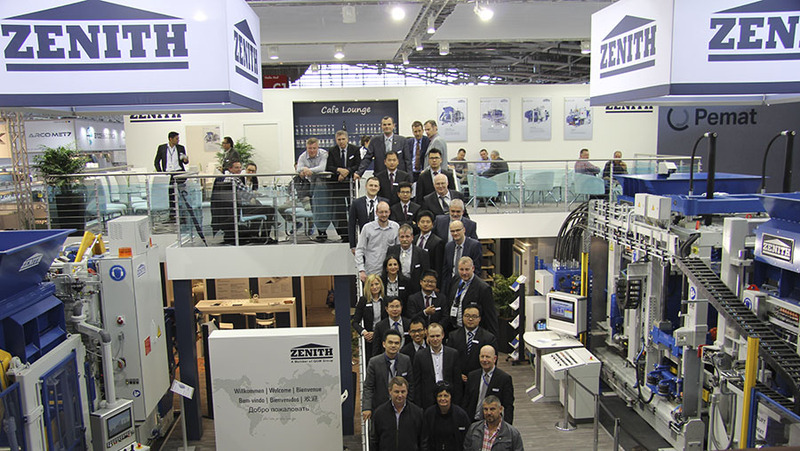 Zenith machine get their great recognition and attention. The 7 days of exhibition, we received hundreds of batches of customers, signed a number of sets of purchase orders. In addition to the order has been signed, there are many interested customers will communication with us further. 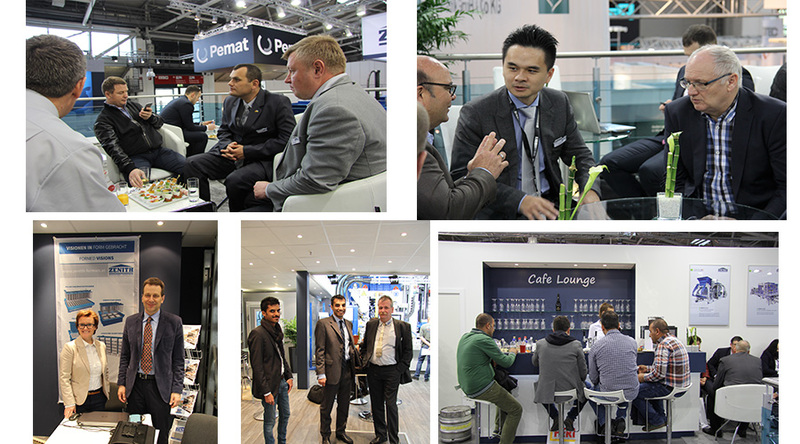 The Germany Bauma Exhibition, QGM&ZENITH gain a perfect ending! 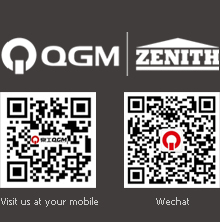 We believe more interested customers will get in touch with us after the show , and there must be most users will choose QGM&ZENITH machines.